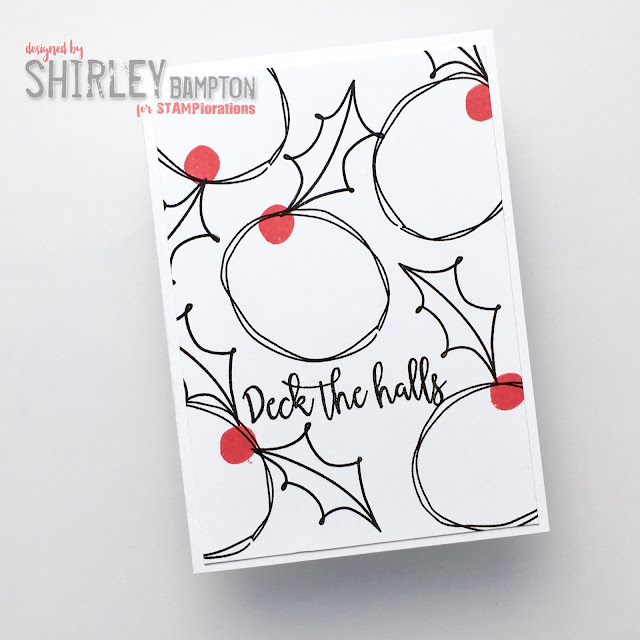 The wreath is the large stamp from Layered Snowman - that set is soooo versatile ;) Then I've used the holly leaf, solid berry and sentiment from Layered Holly. 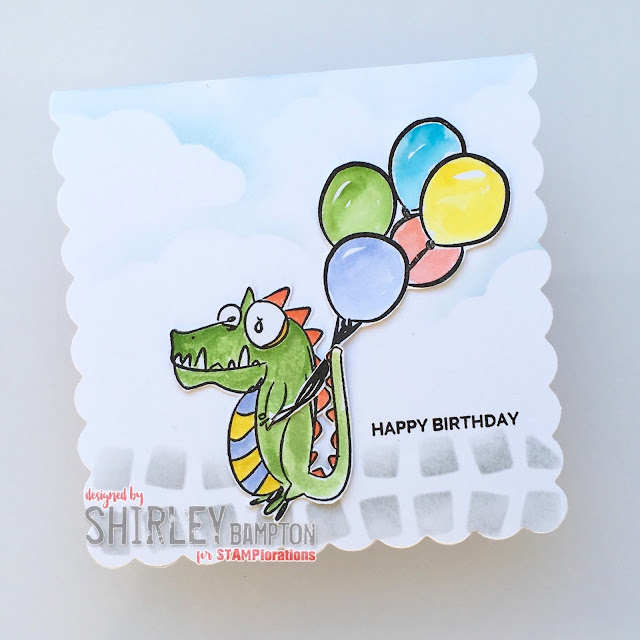 Pop on over to the STAMPlorations blog for some more fabulous inspiration from the team, and don't forget to leave a comment for your chance to win a gift certificate to the store. 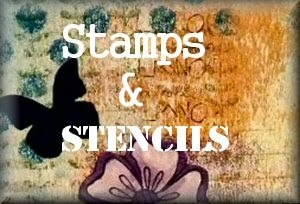 Any time you're shopping, why not use my code STAMPGIRLSHIRLEY for 20% off all stamps, stencils and dies in the store. Welcome to Inspiration Tuesday at STAMPlorations! 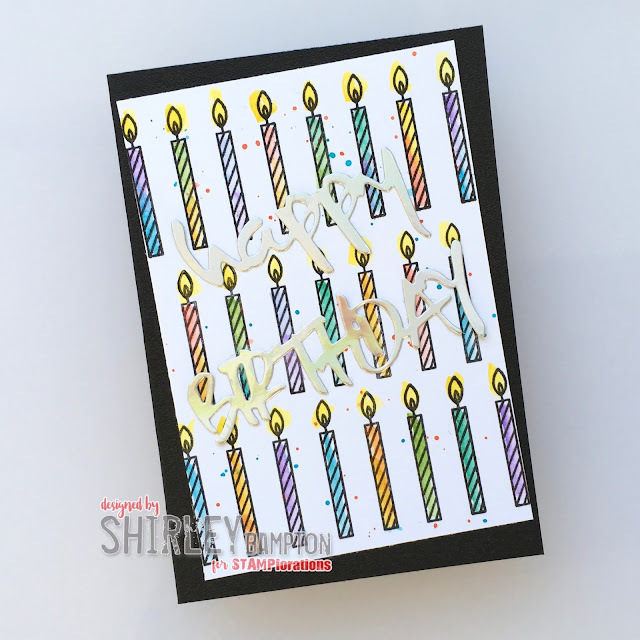 This week we're featuring Shery's stamps, and there's 15% off (no coupon needed). I found this piece in my stash - I'd stencilled clear paste through Just Squares stencil and sponged and splattered Distress Inks, so all I needed to do was stamp the Happy Birthday sentiment and a few cupcakes (from the top of the Sketched: Birthday Cake). 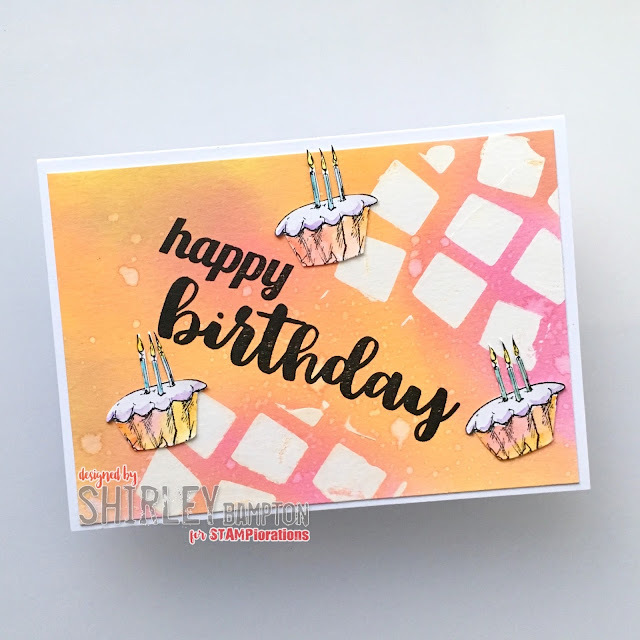 Pop on over to the STAMPlorations blog for some more fabulous inspiration from the team, and don't forget to leave a comment for your chance to win a gift certificate. 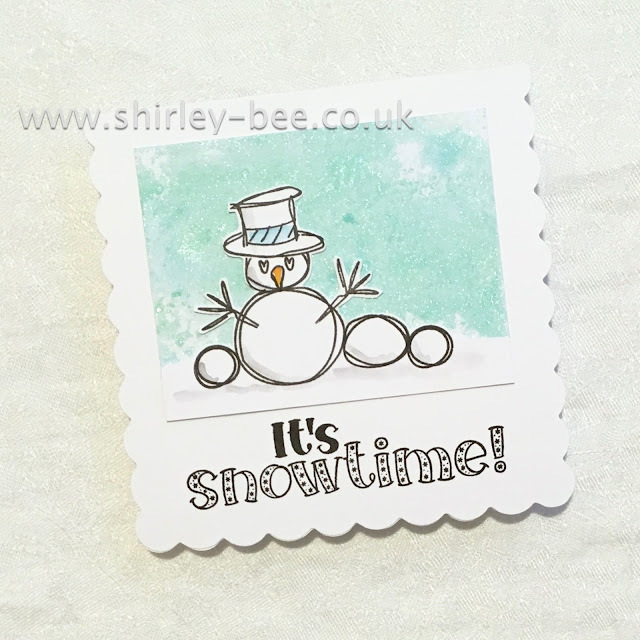 And if you're going shopping, don't forget to use my code, STAMPGIRLSHIRLEY, for 20% off all stamps, stencils and dies in the store. 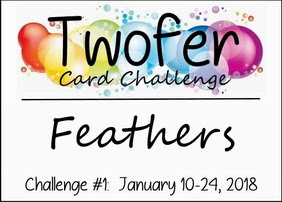 Ive finally got round to playing in Darnell's new challenge, Twofer. I almost played last week. I had the cards ready, photographed, blog post half-written (I was going to use my STAMPlorations Spotlight post), when I realised my cards were actually flowers, not feathers. So here I am, with some feathers (and the attached birds). a get well card. Just sloshed some Distress Inks around then mounted the panels onto base card. I'm also playing along with this card at Simon Says Wednesday Challenge - Add A Sentiment. It's Inspiration time again at STAMPlorations! This week we're featuring Deepti's line of stamps, Dee's Artsy Impressions - there's 15% off all this week, no code needed. 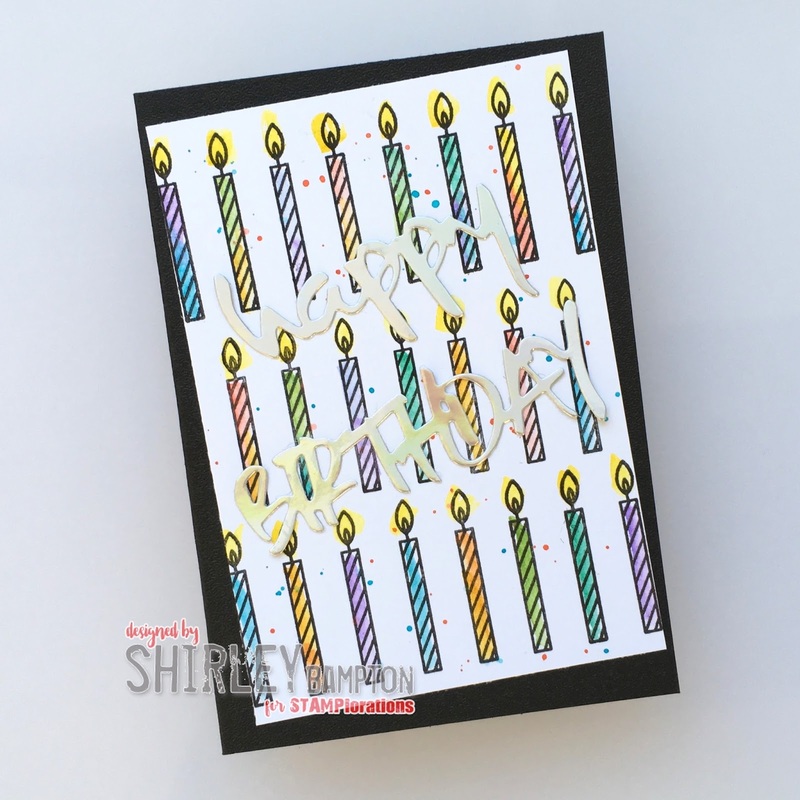 And if you use my code, STAMPGIRLSHIRLEY, you'll get another 20% off. I repeat-stamped the candle from Party Mates over my panel, watercoloured them with Distress Inks and added some splattering, then added the CUTplorations words which were die-cut from mirri card. 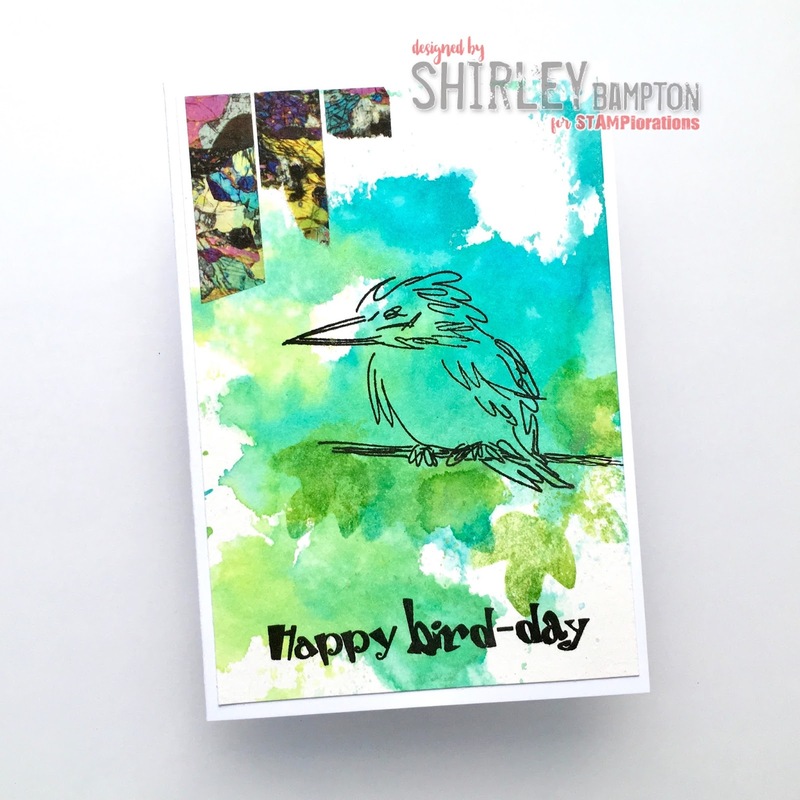 Pop on over to the STAMPlorations blog for more fabulous inspiration from the team, and don't forget to leave a comment for your chance to win a gift certificate to the store. It's our first challenge of 2018 at Craft Stamper, and as always, it's Anything Goes. 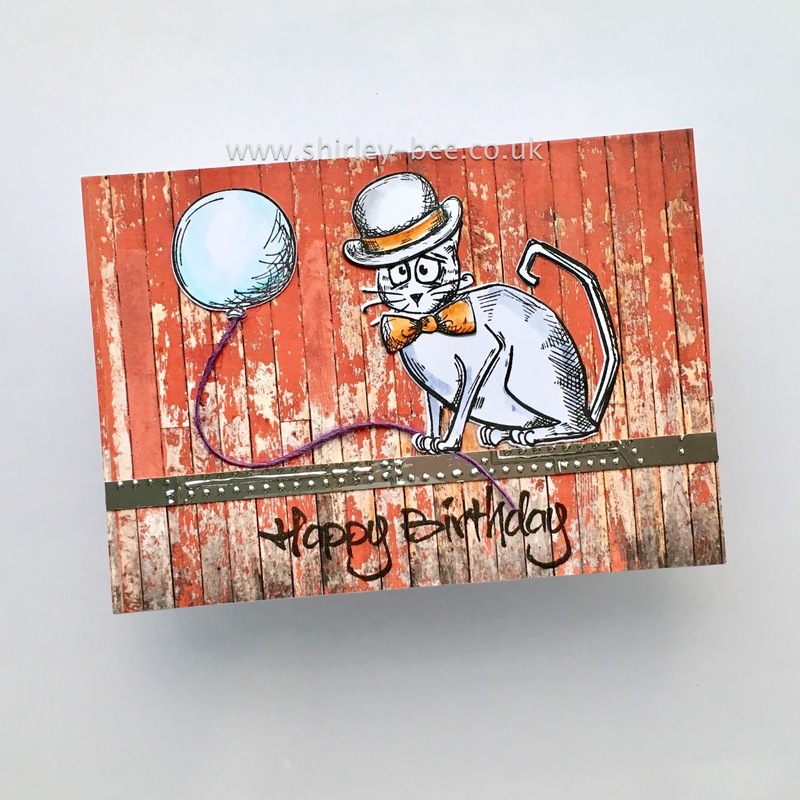 I've used a Kaisercraft image stamped onto a smooshed Distress Ink background with a bit of background stamping, and added a couple of Dylusions border stamps. Our sponsor this month is Visible Image. 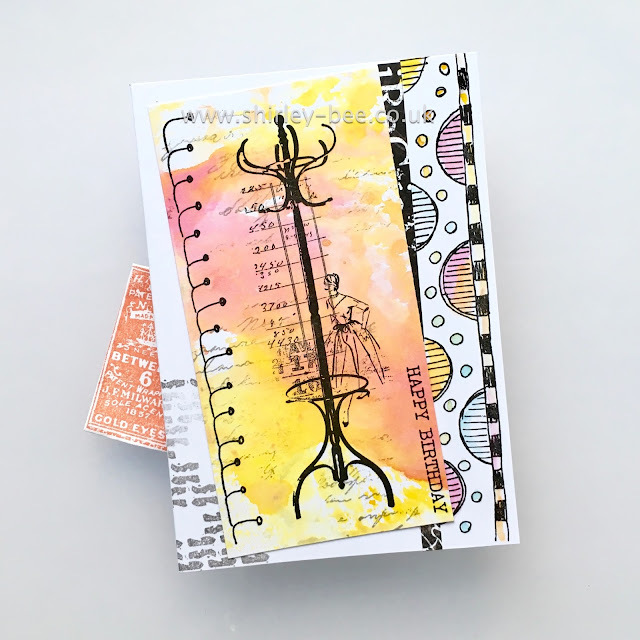 Visible Image design exciting and different stamps and stencils! Our sets include arty images and brilliant background elements, and some really inspiring quotes. Our clear photopolymer stamps are very deeply etched, and our stencils are gorgeously thick for creating divine texture! If your design is chosen by the Design Team, it will be published in the magazine, you'll get a profile on the blog and the mag, and a guest design spot in a future challenge. 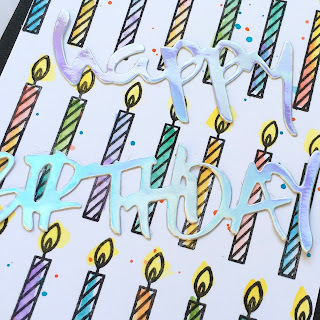 Pop on over to the Craft Stamper blog for some more fabulous inspiration, and play along for your chance to win! 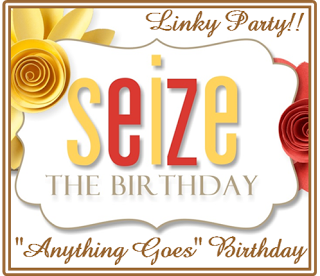 Hellooo, and welcome to 2018 at the Seize The Birthday Challenge! 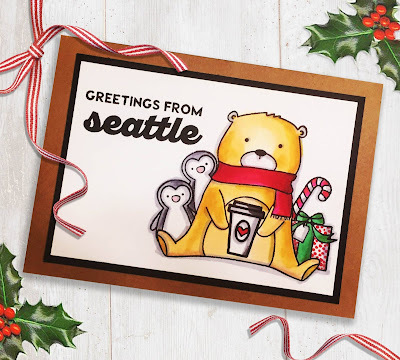 We're easing you into the New Year gently - it's a No Topping challenge, yay! 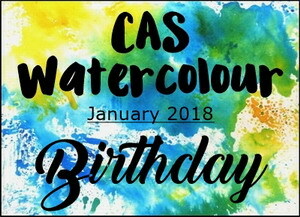 Do what you like, as long as it's birthday-themed. 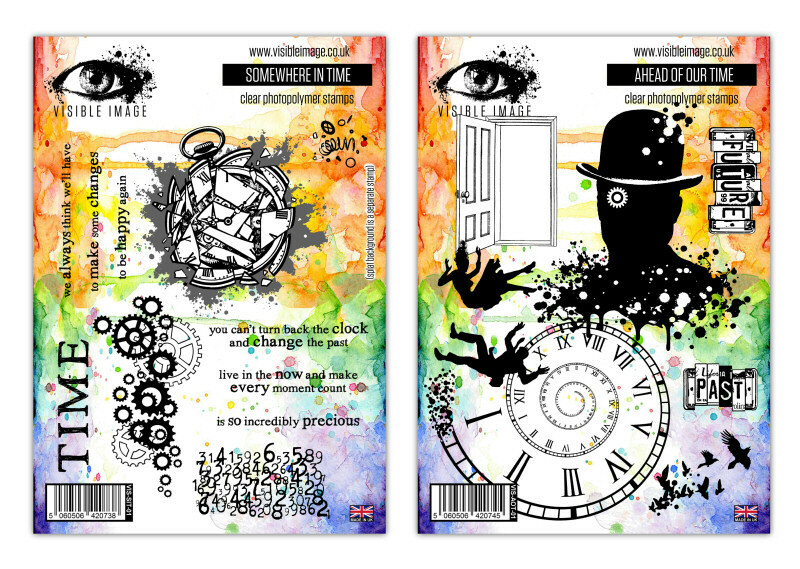 I've used Crazy Cats and Crazy Things by You-Know-Who, and a sentiment from Visible Image. There's a strip of embossed silver card, and it's all mounted onto patterned paper. 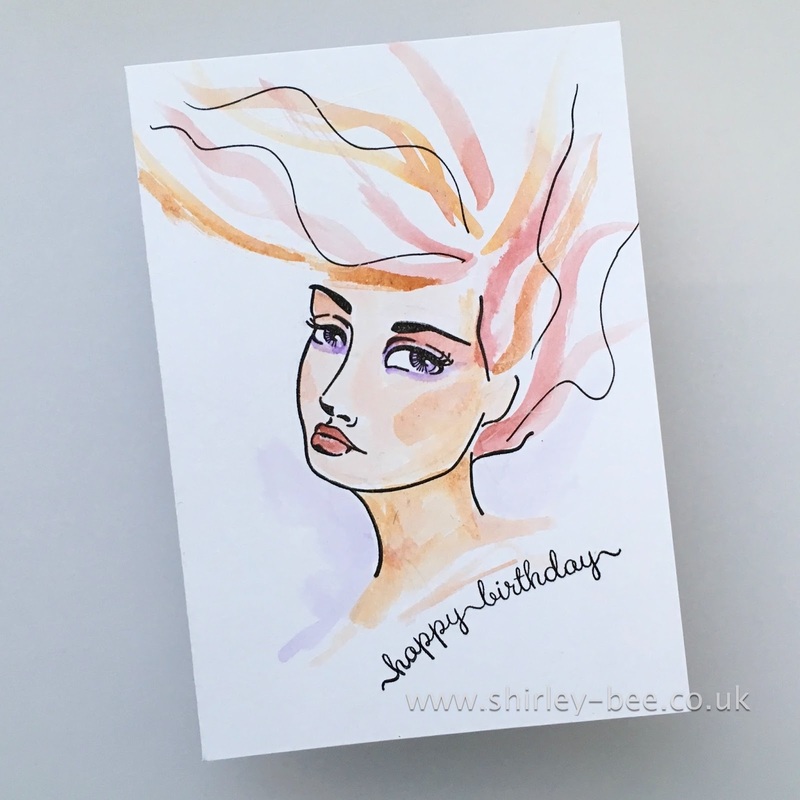 Our Surprise Party Guest this month is Kristie Goulet - check out her fab card, and those of the design team, on the Seize The Birthday blog, and play along with us. 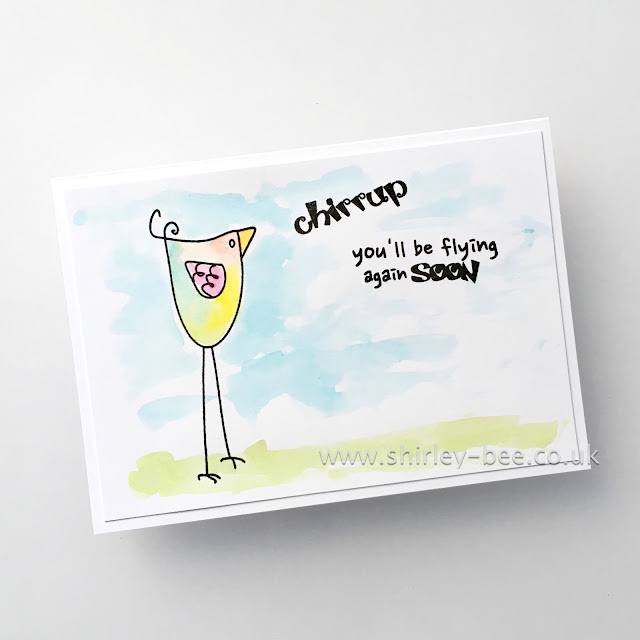 We're back with our Inspiration posts, and today we're featuring my line of stamps, The Bee's Knees. For the next week they're all 15% off, and if you use my code STAMPGIRLSHIRLEY you'll get another 20% off. 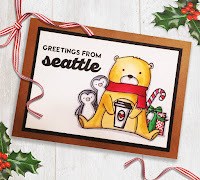 So if you got any money or STAMPlorations gift certificates for Christmas, get shopping! Pssst - there's a sale on too! I've used the kingfisher/kookaburra from Small Birds, the sentiment from Birds of Paradise, and the leaf from Layered Leaves. 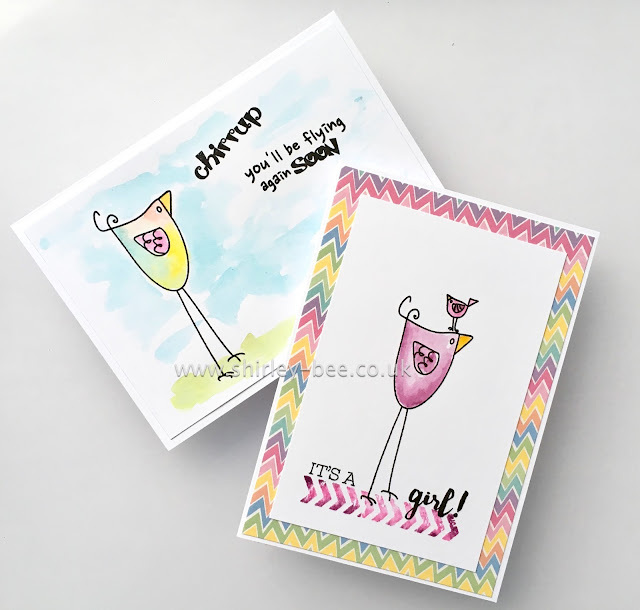 Pop on over to the STAMPlorations blog for some more fabulous inspiration, and don't forget to leave a comment for your chance to win a $10 gift certificate.